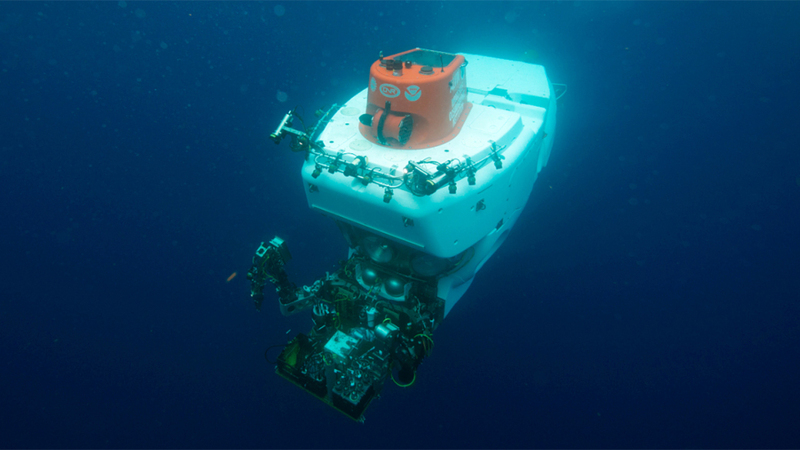 Please comment on NSF's new 10-year ocean research plan, and happy holidays! Our annual call for research, fellowship, and education proposals is posted! 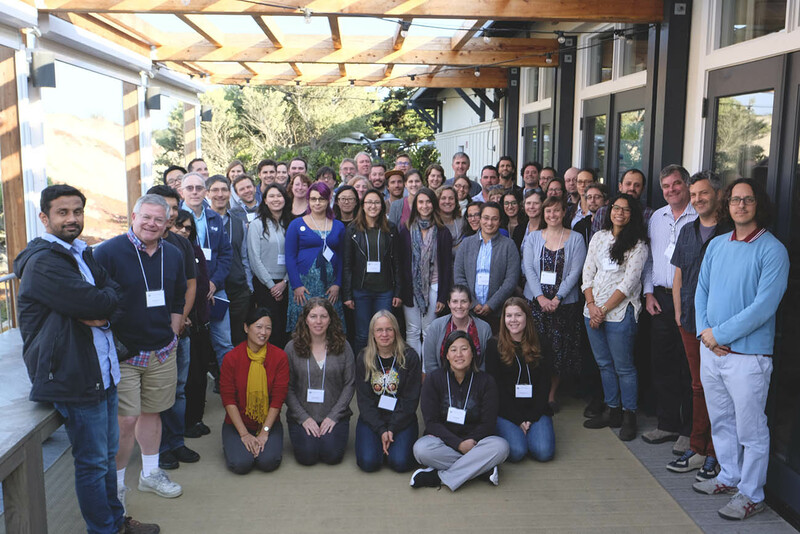 We are enjoying great talks, posters, company and weather at our Annual Meeting in Marina, CA discussing current C-DEBI activities with our active research and education participants. Let me begin with sincere congratulations to C-DEBIers Jennifer Biddle (University of Delaware) awarded the UD College of Earth, Ocean, and Environment’s Outstanding Faculty Mentor Award and Elizabeth Trembath-Reichert (Woods Hole Oceanographic Institution) awarded a 2018 L’Oreal For Women in Science Fellowship. On a policy front, the NSF has recently announced new measures to protect the research community from harassment. Like NSF, C-DEBI is committed to promoting safe, productive research and education environments for current and future scientists and engineers and will not tolerate harassment, including sexual or sexual assault within our community. C-DEBI’s Ethics Policy also maintains avenues for potential ethical misconduct resolution for members of the C-DEBI community. Finally, all good things must come to an end. C-DEBI is an NSF Science and Technology Center, and we have entered year 9 (of 10). In the final 18 months, NSF funding for all STCs scales back substantially, and a number of changes at C-DEBI must consequently occur in the phase down. 2018 represented the last round of the Research Grants and Fellowships programs; we now move towards synthesis activities (and continue to support community workshops). We must also eliminate a number of our Education, Outreach, and Diversity programs, but we are developing plans for sustaining some of these with outside support. 2018 also marks the end of CC-RISE at UCSC, Community College Instructor Workshops, Teacher Small Grants, and the USC SeaGrant Summer Marine Science Camp; 2019 will see the final installments of CC-RISE at WHOI, the GEM course, and GGURE. The community college C4 REU has been hugely successful, and we have submitted a renewal proposal to the NSF for 2020. As we approach the end of NSF-funding, we continue to strategize on how to maintain C-DEBI and our community in its next phase. Suggestions and creative ideas are more than welcome! Hope you are having a good start to your semester – we especially wish the same to C-DEBIers who have been promoted or are starting new positions: Karen Lloyd (Associate Professor at University of Tennessee Knoxville), Nagissa Mahmoudi (Assistant Professor at McGill University), and Alberto Robador (Research Assistant Professor at University of Southern California). And a sincere congratulations to C-DEBIers being recognized for their scientific excellence and more this year: Victoria Orphan (Caltech) recipient of the NOMIS Distinguished Scientist and Scholar Award, Beth Orcutt (Bigelow) to receive the Geological Society of America Geobiology & Geomicrobiology Division Post-Tenure Award, and Andy Fisher (UCSC) and Adina Paytan (UCSC) to be named American Geophysical Union Fellows. Please share your personal kudos if you will also be attending the GSA Annual Meeting in Indiana in November and the AGU Fall Meeting in DC in December. Cheers and good luck to all submitting NSF proposals due today! In celebration of the 30th anniversary of the NSF Science and Technology Center Program, Discover magazine featured C-DEBI in their image gallery of some of the STCs’ groundbreaking work! Please mark your calendars for this month’s Professional Development Webinar “Sharing Data: The Joys of Open Science” by Ben Tully (C-DEBI Bioinformatic Specialist, USC), April 25th, 12-1pm PST. And congratulations to the proponents of proposals selected for funding in our 2017 December call for research grants and fellowships. Stay tuned on our funded projects webpage for their exciting work! Congratulations to C-DEBI scientists Elizabeth Trembath-Reichert and Victoria Orphan for the selection of their PNAS paper, Methyl-compound use and slow growth characterize microbial life in 2-km-deep subseafloor coal and shale beds (C-DEBI Contribution 389), for the 2017 Cozzarelli Prize. The annual award acknowledges papers that reflect scientific excellence and originality and is given annually to six papers published in PNAS. At the end of January, we had our annual site review by NSF and the external panel, and thank all involved including our strong group of undergraduates, graduate students and postdocs who continue to be one of the great successes of C-DEBI. Congratulations to C-DEBIers who have started new positions this spring semester: Olivia Nigro (Assistant Professor of Biology at Hawaii Pacific University) and Annie Rowe (Assistant Professor of Biological Sciences at University of Cincinnati). And don’t forget to mark your calendars for this month’s Professional Development Webinar “Surviving (and Maybe Even Thriving!) in a Soft Money Position” by Julie Huber, C-DEBI Associate Director, Associate Scientist, WHOI – February 28th, 12-1pm PST. Proposals for C-DEBI Research Grants and Fellowships are due today! If you miss these annual calls, don’t forget we also support C-DEBI Community Workshops and Research Exchanges in a year-round call. NSF Geoscience is again seeking input on exciting research to call out for support in their next report. Please comment on your perspective of deep biosphere research as an area to continue to fund by 2/1/18. At last month’s C-DEBI Annual Meeting, our presently-funded research and education community met to discuss our current activities. The meeting was preceded by a graduate student and postdoctoral professional development workshop “Key steps to landing a job and what to do once you’ve been offered the position.” See the agenda. Another season of our Networked Speaker Series is over and we thank the presenters for their great talks connecting all of us interested “deeply” or broadly in the deep biosphere (watch the archived talks online). Nominate an early career investigator doing exciting research with effective communication for next season’s series! That’s a wrap! After almost 3 weeks on site at North Pond, a diverse team of microbiologists, geochemists, hydrogeologists, and virologists are leaving station and heading to Barbados! We look forward to learning what they’ve discovered! The special issue of Frontiers in Microbiology, Recent Advances in Geomicrobiology of the Ocean Crust, is now available as an “ebook.” These twenty-two papers that came out earlier this year in tribute to the late Dr. Katrina J. Edwards brings together recent discoveries of the microbial presence, diversity and activity in these environments, with analysis of the implications for global systems. Our annual call for research and fellowship proposals is posted! 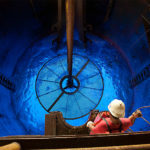 We continue to support research grants and graduate student and postdoctoral fellowships that will significantly advance C-DEBI’s central research agenda to investigate the subseafloor biosphere deep in marine sediment and oceanic crust, including on “expeditions of opportunity.” C-DEBI welcomes proposals from applicants who would enhance diversity in C-DEBI and STEM fields. The deadline for this call is December 1, 2017. Note, there is no call for education grants this year. I look forward to continued, strong engagement by the community through our many C-DEBI programs and activities. 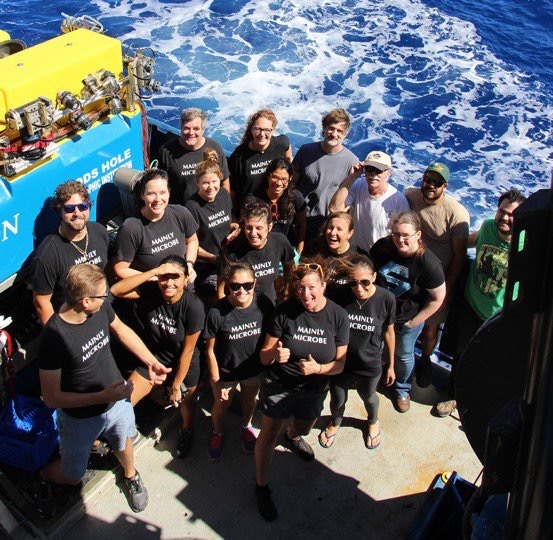 As the culminating program for the North Pond field program – a major field site within the C-DEBI portfolio – a team of scientists is heading back to the subseafloor “CORK” observatory network in October to assess the deep biosphere living in young, cool, and oxic basaltic oceanic crust. This observatory network was installed in 2011 during IODP Expedition 336 led by former C-DEBI Director Katrina Edwards. C-DEBI scientists led by Executive Committee member Dr. Geoff Wheat will be visiting the observatories with the ROV Jason to collect pristine subsurface fluid samples and finally recover the sensors and incubation experiments that have been cooking in the subsurface for the past 6 years. This return mission is funded by the National Science Foundation, with add-on funding for fluid sampling to look at microbe-carbon and virus interactions. Cruise participants will also be running a ship-to-shore outreach program. Follow #NorthPond2017 on Twitter for the latest updates. In this summer’s Global Environmental Microbiology (GEM) course and Community College Cultivation Cohort (C4) REU, we had another enthusiastic and bright class of undergraduate students that we will be introducing you to in our newsletters, sharing their stories and aspirations. We are proud to have been a step in their scientific pathway. Please keep your eye out for their spotlights! After an exciting 10-year run, the Center for Geomicrobiology at Aarhus University in Denmark officially closes its doors at the end of this month. Under the leadership of Bo Barker Jørgensen, this center made exciting discoveries on microbial life in the seabed, including in the sediment sulfur cycle, life at the energetic limits, and electromicrobiology, to name but a few. The center may be sunsetting, but we look forward to many future collaborations with our friends from across the Atlantic. And remember to tune in to our webinars this season! Emily Estes is our next Networked Speaker on November 2 ( Organic carbon utilization and preservation in a carbon desert), and Andy Fisher is our next Professional Development speaker on October 24 (Title TBD). If you missed the latest ones, please check out the fantastic talks by Gus Ramirez ( Microbial Neter-Khertet: Life and death post-entombment) and Karen Lloyd (How to Negotiate in Academia) archived on the website. Finally, congratulations to Heather Fullerton starting this fall as an Assistant Professor in Biology at the College of Charleston. We are enthusiastic for the group of C-DEBIers starting new positions this fall, and look forward to continuing to share their and others’ good news. Hope you are having a good start to your semester – we especially wish the same to C-DEBIers who we know have started new positions: Rika Anderson (Assistant Professor at Carleton College), Stephanie Carr (Assistant Professor at Hartwick College), Kat Dawson (Assistant Professor at Rutgers University), Caroline Fortunato (Assistant Professor at Wilkes University), Anna Kaster (Professor at Karlsruhe Institute of Technology), Ileana Perez-Rodriguez (Assistant Professor at the University of Pennsylvania), Mark Torres (Assistant Professor at Rice University), Rosa Léon-Zayas (Assistant Professor at Willamette University) and Senior Scientist Steve Finkel (College Dean of Graduate and Professional Education at the University of Southern California). August 24, 11am PT: Karen G. Lloyd (University of Tennessee) leads the next C-DEBI Professional Development Webinar on “How to Negotiate in Academia,” covering why negotiation is essential, tips for how to do so successfully and what to expect from post-doc and assistant professorship job negotiations. 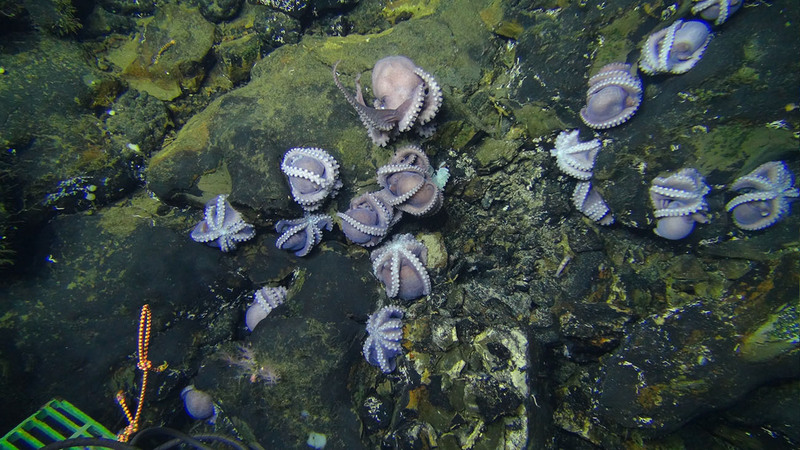 September 7, 12:30pm PT: Dr. Gustavo Ramírez (University of Rhode Island) will give the next Networked Speaker Series Seminar on “Microbial Neter-Khertet: Life and death post-entombment.” Abstract: Deep ocean sediment is a diffusion-limited environment where microbial inhabitants persist despite extreme temporal, physical and nutritional isolation from the ocean above. Burial time increases with sediment depth and, unsurprisingly, community richness, diversity, cell abundance and metabolic activity drop significantly with sediment age, implying both a steep selection curve and concomitant mass death. The extent to which benthic necromass (fragments of cadaverous cells), specifically extracellular DNA, a molecular fossil, may affect environmental sequencing surveys is a critical question that has received little attention. Reasons for this neglect are i) DNA is generally believed to have a short molecular half-life and ii) extracellular DNA represents dissolved C, N and P which should be readily metabolized by active microbes. The scarcity of methods for assessing microbial viability in complex environmental samples further confounds this issue. I interrogated Arctic and Pacific sediments for the presence of detrital DNA using Propidium Monoazide, a photo-active DNA intercalating dye that cannot penetrate intact prokaryotic membranes. This approach employs membrane integrity, a prerequisite for chemiosmotic potential and ATP production, as a viability metric. I detected statistically significant extracellular 16S rRNA gene loads in shallow sediment horizons, but not deep horizons. Measures of Alpha- and Beta-diversity for intra-and total-16rRNA gene pools are somewhat variable. Diversity trends are generally similar for both DNA pools, but noisier at shallow depths. In tribute to the late Dr. Katrina J. Edwards, who pioneered C-DEBI and the study of microbes that “rust the crust”, a special issue of twenty-two papers, Recent Advances in Geomicrobiology of the Ocean Crust, has been published in Frontiers in Microbiology. 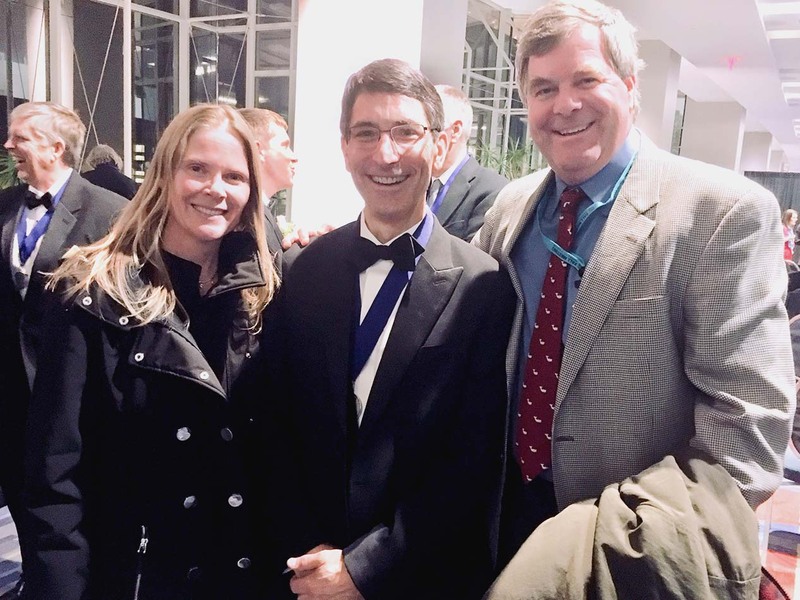 Editors Beth Orcutt, Jason Sylvan and Cara Santelli are just a few of the many in our community inspired by her achievements in the exploration of the deep biosphere. And a round of hearty congratulations to our C-DEBIers at (or formerly at) the University of Delaware: Dr. Jen Biddle, Dr. Rosa Leon Zayas and Christopher Petrone. Jen Biddle and her co-investigators have been awarded a prestigious $1 million grant from the W.M. Keck Foundation to explore how environmental factors may affect the genetics of microbes. Rosa Leon Zayas, a former C-DEBI postdoctoral fellow, begins her tenure track position at Willamette University in the Department of Biology this fall. And Chris Petrone’s C-DEBI education grant Project VIDEO, developed with Lisa Tossey, Jen Biddle and Rosa Leon Zayas, has won two national awards for audiovisual communications and electronic media. Congratulations to all of you and the C-DEBIers who contributed to the guest 15 Second Science spots! Congratulations to Dr. Andy Fisher, C-DEBI Co-Investigator, recognized by the University of California Santa Cruz with the 2016-17 Excellence in Teaching Award (one of seven university-wide). And good luck to our newest deep biosphere researchers getting started in C-DEBI’s summer Education & Diversity programs! These include our Community College Cultivation Cohort (C4) REU at USC, where community college students cultivate and characterize unknown microbes from the deep; the Community College Research Internship for Scientific Engagment (CC-RISE ) for community college students at WHOI and UCSC; the Geobiology and Genomics Undergraduate Research Experience (GGURE) internship at USC; the undergraduate, field-based Global Environmental Microbiology Course at USC and Wrigley Institute; the Summer Marine Lab Experience for high school students from across the country at Wrigley; and the Seafloor Science ROV day camp for elementary and Jr. High students at several locations in the Monterey Bay area. Our Associate Director, Dr. Julie Huber begins her new position in Marine Chemistry & Geochemistry at the Woods Hole Oceanographic Institution this month, so please update your address books to jhuber@whoi.edu! A round of congratulations also to Dr. Jen Biddle awarded tenure in the College of Earth, Ocean, and Environment at the University of Delaware and Dr. Laura Lapham awarded tenure at the Chesapeake Biological Laboratory at the University of Maryland Center for Environmental Science. And if you are at this week’s ASM Microbe meeting, please congratulate C-DEBI Senior Scientist Dr. Steve Finkel who will receive the William A. Hinton Research Training Award on June 4 for outstanding contributions toward fostering the research training of underrepresented minorities in microbiology. Steve’s GGURE undergraduate research internship program is one of C-DEBI’s flagship STEM-retention programs. We are also pleased to share that the International Ocean Discovery Program has just put Guaymas Basin deep drilling led by Dr. Andreas Teske on the agenda for late 2019, so keep your eye out for opportunities to sail on Expedition 385: Guaymas Basic Tectonics and Biosphere! Speakers: Donna Blackman (Scripps Institution of Oceanography) and Beth Orcutt (Bigelow Laboratory for Ocean Sciences). For our upcoming C-DEBI Professional Development Webinar, we have teamed up with the Consortium for Ocean Leadership’s Marine Geoscience Leadership Symposium (MGLS) to bring you a comprehensive webinar on proposal preparation. The webinar will focus on topics related to preparing research proposals by providing advice on writing, constructing planning timelines, managing a team through the process, and preparing a budget. Please register to access the webinar link and receive last-minute email reminders! 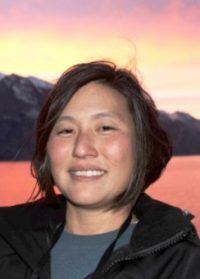 Congratulations to Dr. Anne Dekas at Stanford University, named one of the 2017 Simons Foundation Early Career Investigators in Marine Microbial Ecology and Evolution. Dr. Dekas is a C-DEBI scientist who studies the microbiology and biogeochemistry of the deep sea, and with this award, will quantify microbial activity in the deep sea using NanoSIMS. Looking forward to another great Networked Speaker Series talk on 5/11: Dr. Andrew Steen, Assistant Professor at the University of Tennessee, Knoxville presents “What Heterotrophs Want: Using extracellular enzyme assays to probe the lifestyle of heterotrophic microorganisms in subsurface sediments.” The intent of these half-hour talks is to connect all of us interested “deeply” or broadly in the deep biosphere. Note, these early career investigators were nominated by members of the community for their exciting research and effective communication! If you missed this season’s previous talk, Dr. Annie Rowe: Eating rocks! Investigating microbial energy conservation with microbes that utilize solid mineral electron donors, you can watch it now online. How do I put together (or understand) a budget? How can I use social media to help my science career? If so, then this webinar series is for you! Are you using social media to network and promote your science? Our 2017 Networked Speaker Series speakers have been selected! Please mark your calendars for this online seminar series to connect all of us interested “deeply” or broadly in the deep biosphere. Next month’s talk is by Dr. Annie Rowe at the University of Southern California, who will present “Eating rocks! Investigating microbial energy conservation with microbes that utilize solid mineral electron donors” on 3/9/17 at 9:30AM Hawaii Time/12:30PM PST/3:30PM EST. Congratulations to the proponents of proposals selected for funding in our 2016 December call for research and education grants and fellowships. Stay tuned on our funded projects webpage for their exciting work in Phase 2 of C-DEBI! There are plans afoot to create a new federal 10-year ocean research plan (https://www.nsf.gov/geo/oce/orp/) to replace the plan created in 2007 and updated in 2013. This new plan will guide future federal funding, so it is vital that the science that we think is important is considered in the plan. To refresh your memory, C-DEBI scientists provided numerous comments on the 2013 update, and the impacts were undeniable in the resulting document. Now is the time to do that again! The public comment period on the draft societal themes and research goals is open until January 1, so there is not much time. It is only 7 pages, so take 10 minutes to read it. We appreciate your commitment to C-DEBI and all its science, education, and outreach efforts. We are stronger together, evidenced again by the great interest in the latest call for research and education grants (13 graduate fellowship, 15 postdoc fellowship, 9 research, 3 education), which are currently being reviewed by C-DEBI Leadership and our E&O Steering Committee. Please join me in welcoming Gwen Noda as C-DEBI Diversity Director who in her few weeks at USC, has dived into leading our diversity efforts to serve our students, postdocs, faculty, and other participants at USC and across the nation. Ms. Noda is a Los Angeles native who earned her B.S. in Marine Biology and M.A. in Biology both from UCLA with a research focus on benthic aquatic invertebrates. She brings an extensive background in informal education in the field and classroom to support and grow our education and outreach programs, e.g., as former Co-Director of the Center for Ocean Sciences Education Excellence COSEE-West and coordinator of the FLOW Citizen Science Monitoring Program at Bolsa Chica Wetlands and State Beach for Amigos de Bolsa Chica among others. We are also excited by a recent Nature Communications paper proposing a new bacterial phyla classification that highlights several C-DEBI persons of interest! “Edwardsbacteria”, “Wallbacteria”, and “Nealsonbacteria” nod to our former Director Katrina Edwards, current External Advisory Board member Judy Wall, and colleague and grant recipient Ken Nealson. For details see the Banfield lab paper Thousands of microbial genomes shed light on interconnected biogeochemical processes in an aquifer system. We have many things to celebrate! First, congratulations to USC graduate student Gus Ramirez for successfully defending his Ph.D. thesis; he now embarks on a C-DEBI Postdoctoral Fellowship with Steve D’Hondt at URI. Congratulations also to C-DEBI Senior Scientist Steve Finkel, who will receive the American Society for Microbiology’s 2017 William A. Hinton Research Training Award for outstanding contributions toward fostering the research training of underrepresented minorities in microbiology. Steve’s GGURE undergraduate research internship program is one of C-DEBI’s flagship STEM-retention programs. We are also extraordinarily proud of C-DEBI Senior Scientist Victoria Orphan, recipient of a 2016 MacArthur Foundation Fellowship*. The 5-year “genius grant” is meant to encourage creative scientists, artists and other thinkers who are pushing the boundaries of their fields. Victoria is certainly doing that for C-DEBI. 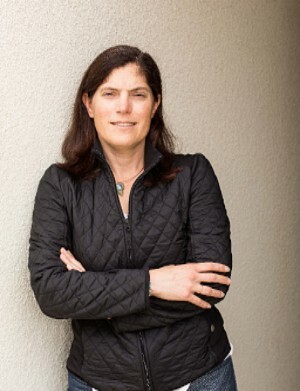 A true Californian, she spent her childhood in San Diego, received undergraduate and graduate degrees from UC Santa Barbara, did a stint at NASA Ames in Mountain View, and since 2004 has been on the faculty at Caltech—“Victoria, do you realize there are 49 other states and, according to the United Nations, 192 other countries?” She is a role model for all of us who do interdisciplinary science; she brilliantly combines field- and lab-based research with method development and state-of-the-art analytical approaches, inspiring junior scientists and the ‘more experienced’ among us along the way. Greetings! Our annual call for research, fellowship, and education proposals is posted! We continue to support research grants and graduate student and postdoctoral fellowships that will significantly advance C-DEBI’s central research agenda to investigate the subseafloor biosphere deep in marine sediment and oceanic crust, including on “expeditions of opportunity.” C-DEBI education & outreach grants will continue to fund the development of educational opportunities and materials that are pertinent to deep biosphere research in the subseafloor environment in support of our education and outreach goal to create distinctive, targeted education programs and promote increased public awareness about life below the seafloor. C-DEBI welcomes proposals from applicants who would enhance diversity in C-DEBI and STEM fields. Note, we have moved up the deadline for this call to December 1, 2016 to provide ample time for review by the anticipated notification date. I look forward to continued, strong engagement by the community through our many C-DEBI programs and activities.